The National Organising Committee is pleased to announce the release of the World Congress on Cancers of the Skin® Preliminary Scientific Program that features invited and keynote speakers. Darrell S. Rigel, MD MS is a Clinical Professor of Dermatology at New York University Medical Center. Henry W. Lim is the Chair Emeritus of the Department of Dermatology, Henry Ford Hospital, and Senior Vice President for Academic Affairs, Henry Ford Health System, Detroit, Michigan, USA. 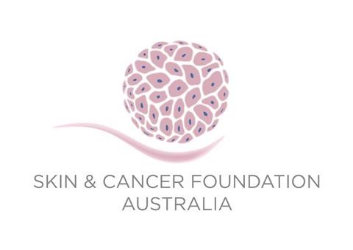 Richard Scolyer is Co-Medical Director of Melanoma Institute Australia; He is also Senior Staff Specialist, Tissue Pathology and Diagnostic Oncology, Royal Prince Alfred Hospital, Sydney. Georgina Long is Co-Medical Director of Melanoma Institute Australia (MIA), and Chair of Melanoma Medical Oncology and Translational Research at MIA and Royal North Shore Hospital, The University of Sydney. WCCS 2018 poster submissions will now close on Monday 16 April 2018! Submit your poster today to be a part of the world’s leading Congress in Cancers of the Skin and speak alongside Professors such as Peter Soyer, Georgina Long and many others. Registration and accommodation bookings are now open! Be sure to register before 18 April 2018 to take advantage of early bird rates that are up to 20% off the standard rate. For further information on registration rates, please click here. With the highest skin cancer rates in the world (2-3 times that of Canada and the USA), Australia represents a unique hub that will be the global stage in 2018. The Congress not only brings together doctors from the international community but alerts the host country’s local media who help spread the message about skin cancer. WCCS 2018 will unite the best minds in skin cancer from across the globe. Our sponsors and exhibitors are key stakeholders in the continued success of the Congress and in 2018 will have increased representation and delegate engagement though the latest in event technology. Organisations seeking to connect with the wider community such as sporting, golf, surf lifesaving, schools etc will benefit from the open Public Forum, a first-time event for the World Congress.